This week’s Diagnostic Readings include a preview of the 2014 RSNA conference, the impact of politics on the field of radiology, advice to improve patient engagement and more. Check out our weekly series, “Diagnostic Reading,” for news and updates in healthcare IT and radiology. This article talks about what to expect at this year’s RSNA conference. It highlights what to look for, what to expect and how to plan for the 100th annual conference. This article discusses how the Republicans’ wide-spread victories in the recent elections could change political agendas on programs such as the sustainable growth act and the affordable care act. Furthermore, this piece addresses how these changes could positively or negatively affect the field of radiology. 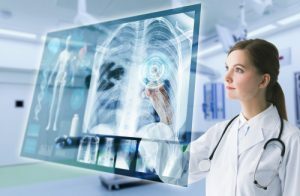 This comprehensive article covers just about anything you need to know about the shift from analog radiography to digital radiography. The author covers pricing and financial considerations, as well as providing an outlook on the future of digital radiography. The importance of dose reduction in pediatrics is emphasized in this piece. Chris Tomlinson, MBA, CRA, the senior director of radiology at CHOP, adds his input about the importance of working as a team to institute a low-dose program. He adds that it is not only about using low dose software, but also how to be proactive in lowering dose in pediatric radiology. Radiologists and physicians have begun to team up using clinical decision support (CDS). Read more about how radiologists and physicians can consult before determining the appropriate imaging action to take. This article discusses the advances in technology as well as the potential increase in patient care and co-worker relationships that come with the growth of CDS. The post Diagnostic Reading: Five Must-Read Articles from the Past Week appeared first on Everything Rad.